He's a Juilliard-trained stage actor who took a chance, packed up, moved to Los Angeles and landed a role in Buffy the Vampire Slayer. James Marsters told The Homestretch that fans he meets at comic expos are people he genuinely likes talking to. Thu, 12:42: RT @ShimermanArmin: @alydenisof @EW Was your principal there? Which one? 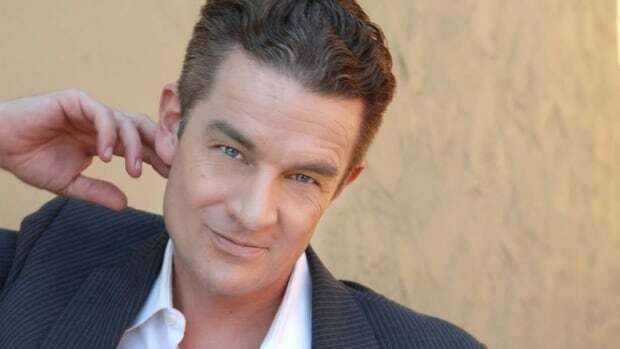 Wed, 20:21: Cool news for Sacramento fans from the interview: @JamesMarstersOf & @GhostoftheRobot will be doing a concert June 17 during @WizardWorld. #Buffy fans, we need to know your favorite of Buffy Summer's boyfriends. Who's side are you on? Looking for about 30 minutes of unadulterated happiness? Than look no further than this video posted earlier today by stunt coordinator Jeff Pruitt, which is a magnificent collection of behind-the-scenes looks at Buffy: TVS season 2, including stunts, costumes, and a great deal of goofiness. If you'd like to see werewolf Oz off-screen and Sarah Michelle Gellar ice skating, learn how they blew up the Judge with a bazooka, or just watch people messing with James Marsters by trying to convince him he's going bald, seriously, this is the video for you.